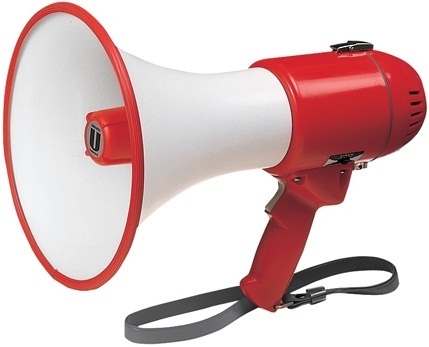 UNI-PEX TRM-119 megaphone has 8pcs dry-cell battery R14PU C size, 15 watt rated output, 25 watt maximum output, approx. 400m sound distance range, approx. 500m siren, weight approx. 1.4Kg excluding batteries, made in Japan.